Engineered with One-Touch Power With the touch of a button, power between sitting and standing height with an incredibly stable work surface. Keen Eye for Monitor Placement With incremental focal depth adjustment and tilt, monitors adjust independently for the perfect distance and angle. 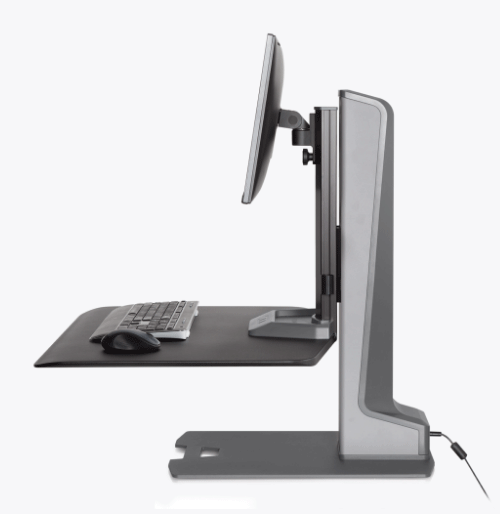 Programmable Positioning Save your favorite sit-stand position. Program your ideal standing height so it always rises to your perfect height. Elevate Your Office A stable, freestanding base retrofits to the desk, turning any office into a healthy sit-stand workplace. Meet Winston-E The next-generation Winston-E sit-stand is engineered for ease and freedom. Fully loaded, we've thought of every detail for Winston-E so you're free to think about what's important to you. 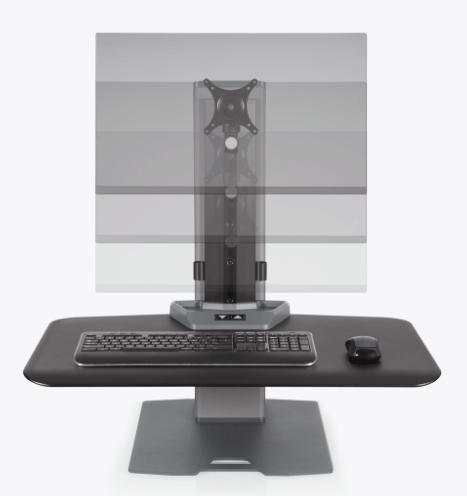 Ergonomics Focal depth adjustment and independent movement of the monitors lets users keep their monitors at a confirtable, ergonomic level. Flexible adjustment allows for easy screen sharing. Ease-Of-Use Electric powere to supercharge height adjustment with the touch of a button. Programmable control remembers your height fo sit and stand. Design Robust electronics encased in a sleek design with modern edges and clean lines. Freestanding Installers can get Winston-E from box to up and running in less than 20 minutes. No need to move or replace furniture. 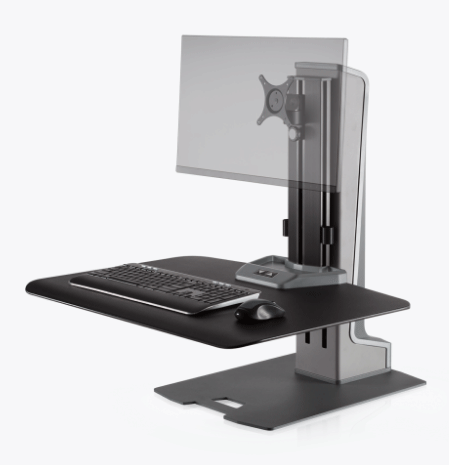 Winston-E Sit-Stand Workstation There's a lot of choices out there when it comes to sit-stand workstations. 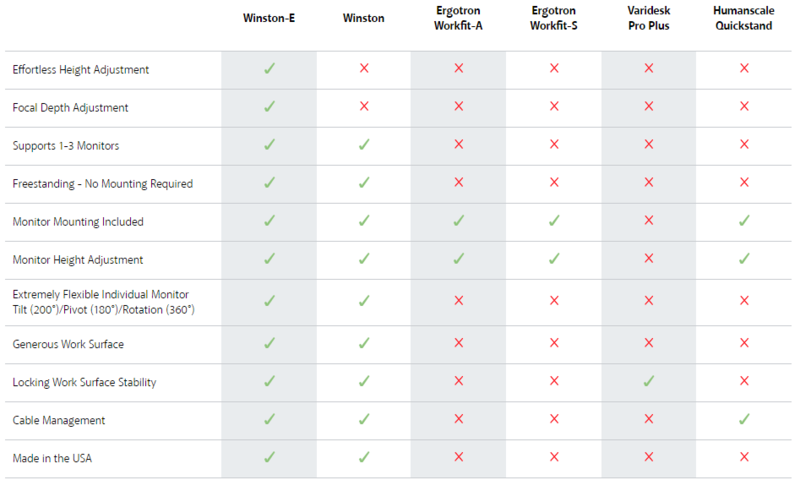 Find out why Winston-E excels versus other popular desktop conversion and retrofit solutions. 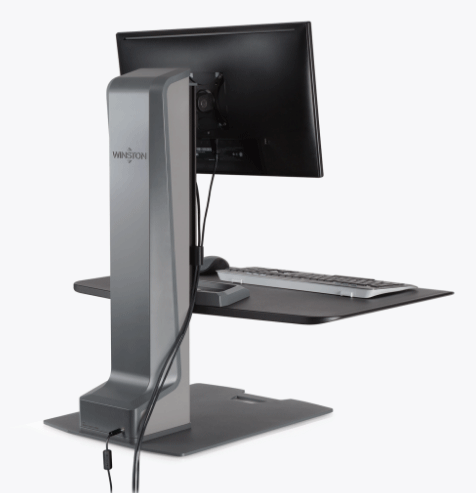 Transform your desk into a healthy sit-stand work space with Winston-E. Offers a single monitor mount and 18" of effortless height adjustment. 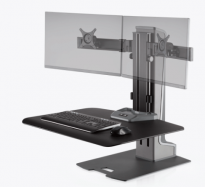 Ergonomic monitor adjustment: Independent movement of the monitor lets users keep their monitor at a comfortable, ergonomic level. 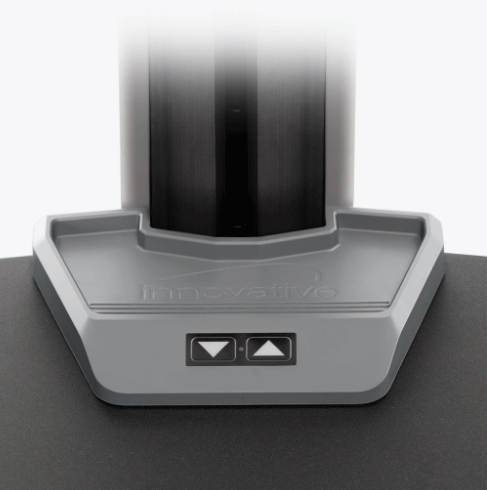 Quickly retrofit to any desk or table: Installers can get Winston-E from box to up and running in less than 20 minutes. No need to move or replace furniture. Expansive work surface: A large work surface and newly designed storage tray allows you to bring all necessities with you when standding. Upping the ante with bold style: Robust electronics encased in a sleek design with modern edges and clean lines. 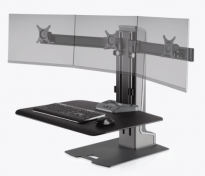 Winston-E: is available in a single, dual, or triple monitor configuration.